Upward facing blue and white flowers with small blue spurs, forms compact mounds of blue-green foliage. 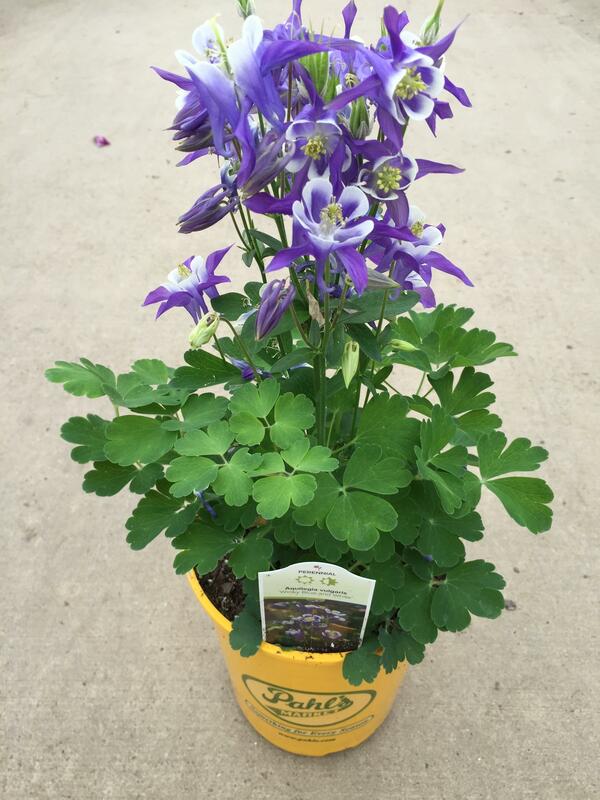 Attractive clumps of delicate foliage with sprays of colorful, nodding flowers. Plants prefer moist, but well-drained soil and grow best in partial shade. 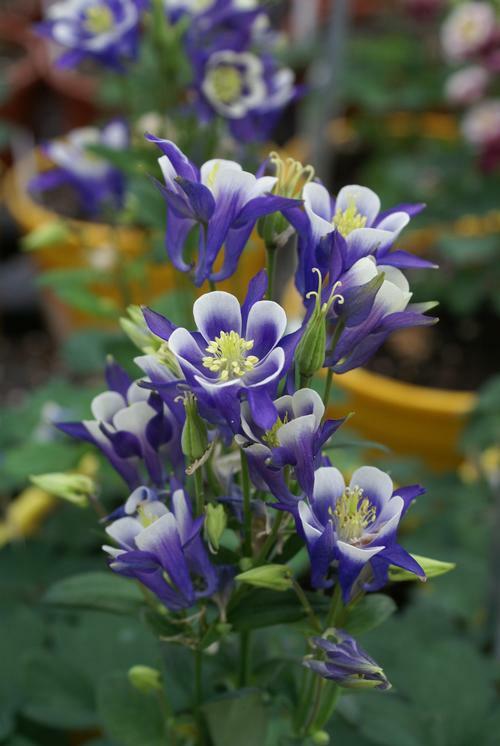 Columbines are not particularly long-lived, especially if kept too wet. Blooms late spring to early summer.